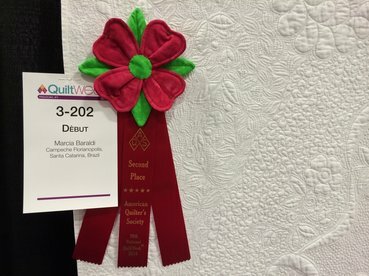 Meet Marcia Baraldi, professional quilter, awarded in several Brazilian competitions from 2010 and in competitions in the United States in 2013, 2014 and 2015. 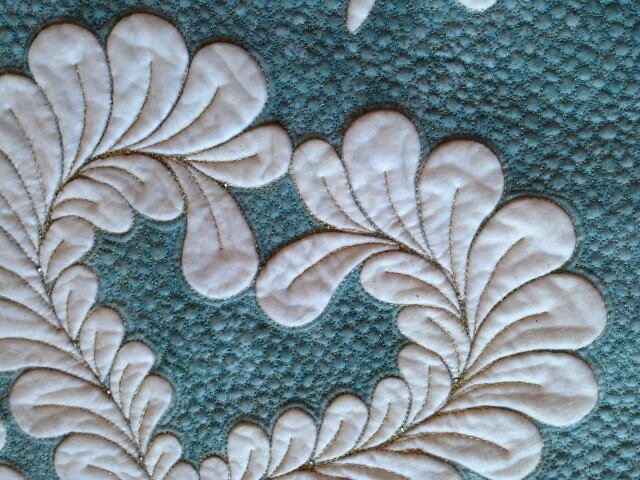 Quilting teacher invited to several courses and workshops throughout Brazil, Argentina, Uruguay, Chile and Mexico. She developed the first quilting glove of Brazil, creator of several tools for free-motion quilting and author of the 1st Brazilian free-motion quilting book: ”Uncovering Secrets”, launched a Spanish version in Mexico in 2015. 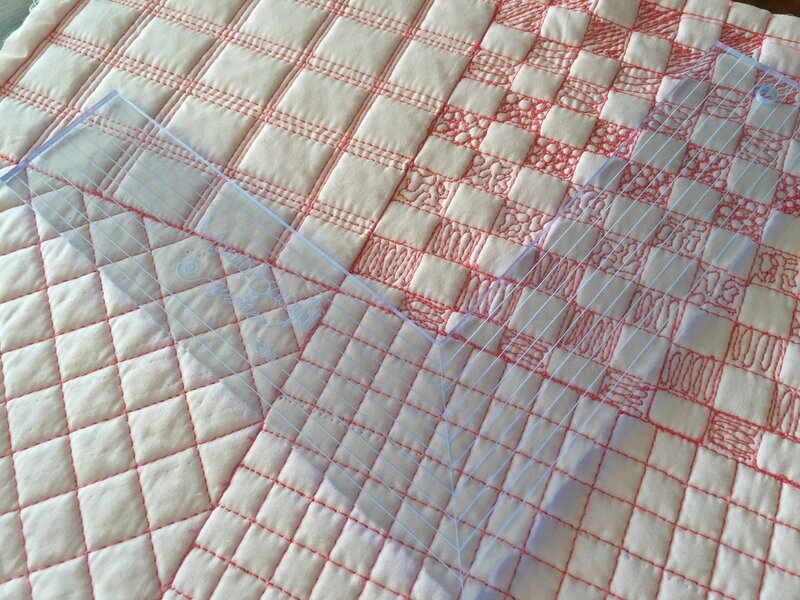 Author of “Free-Motion Quilting Using Rules” and responsible for the development of products for use with rules on domestic machines. We all enjoy Marcia's visit on March so we invited her to come back and lounch her English edition of her book and teach new classes. She will be here on our July meeting. If you took her classes bring some of you work to show her. Different techniques, evrybody can do it fun and easy, 15 different Feathers . . .
-You need to pre-paid to secure your space. Choose the button bellow to pay with credit card or paypal and secure your space on a classe. Ocean Waves, write in the memo what package or class you would like to take. Learn how, and where to add Feathers in all your spaces, shapes and areas. Blocks, curves, borders, circlels . . .
​Mix your Feathers with the use of your rulers. 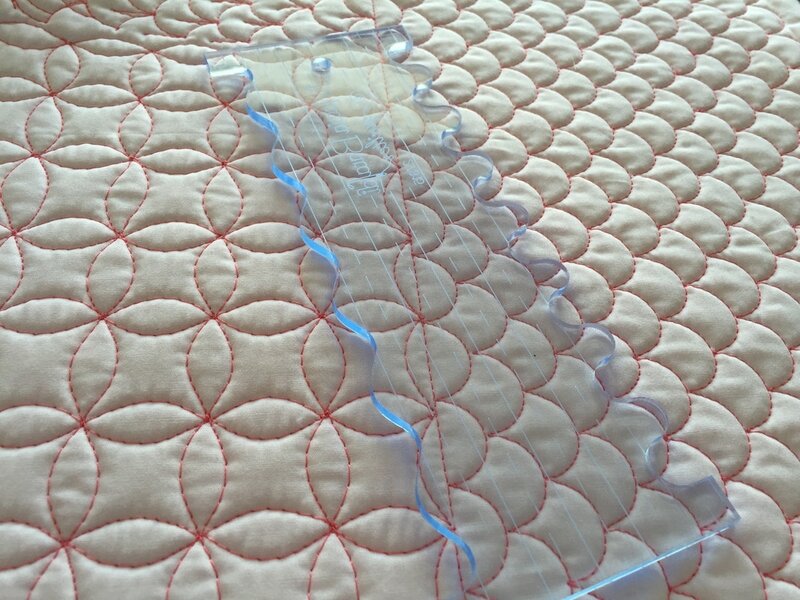 Make it even easyer to fill spaces in between Feathers, and Feathers with the use of rulers . . .